I have read and agree to the terms and conditions that are provided at the bottom of this page. I agree to make a minimum of 3 payments for The Millionaire Architect Inner Circle. I also understand that I cannot cancel or get a refund after 14 days of starting this program. I agree that 14 days is enough time to understand how The Millionaire Architect Inner Circle works and what I should expect in the program. I am dedicated to working hard at my business over the next 90 days and will continue to do so into the future. 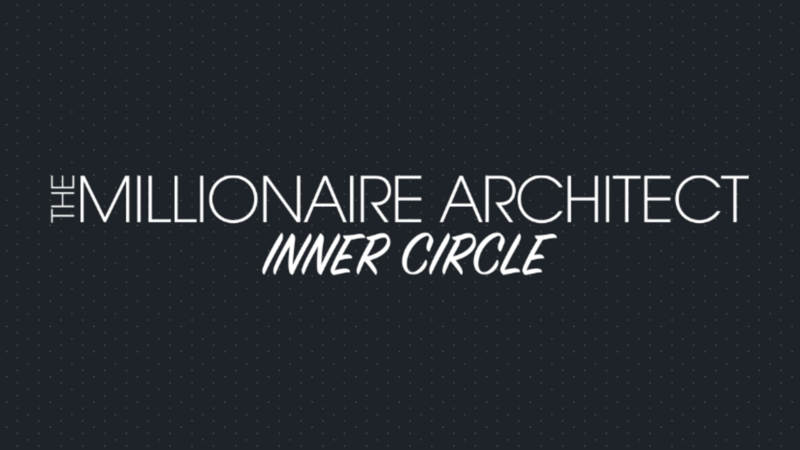 The Millionaire Architect Inner Circle was created by coaches...for coaches. Our goal is to help you grow your coaching business through creative marketing, stellar strategy and provide a support team to guide you on your path to financial success. This program is specifically created for experienced coaches and online influencers who are already producing a minimum of over 250k per year in their coaching business. Our designated coaches will give you weekly strategies for your campaigns, help you implement the changes and join you for a 1-on-1 strategy session for 1 hour per week. - 1-on-1 strategy calls to discuss marketing strategy, technology, sales and content creation. - Assigned Coach / Project Manager to help assist with your campaigns and manage your internal team. - Full Access to ScaleUP Academy and all 12 Modules of Content. Use this to train your team and make them ALL-STARS. - Access to a personal Slack Channel with our team for day to day communications - Invite your team and let's get your projects moving! - are willing to spend thousands in advertising dollars per month! Referral traffic and sales are EASY...but cold traffic is HARD. We are trying to grow your audience and to do this, we must advertise to those are unaware of who you are. Join THE MILLIONAIRE ARCHITECT INNER CIRCLE and let's grow your coaching business to new heights!